PLO secretary general accuses Jewish residents of Judea and Samaria of carrying out ISIS-like crimes against Palestinians. Saeb Erekat, secretary general of the Palestine Liberation Organization (PLO), on Saturday compared Jewish residents of Judea and Samaria to jihadists from the Islamic State (ISIS) group. "Defeating ISIS requires ending the occupation and establishing a Palestinian state. Yes, there is no difference between what ISIS is doing in Syria and Iraq and the killing and burning of children by settlers in the West Bank," he charged. "So far 99 percent of the victims of ISIS are Muslims, and not French or Americans, but with the continuing Israeli crimes and their refusal of each opportunity to resolve [the conflict], the reality may change in a strange way, and in a scenario in which ISIS will start to attack Israelis, a decisive majority of Arabs who fight ISIS will start to support it," threatened Erekat. The PLO official, who previously served as the Palestinian Authority’s (PA) official envoy to peace talks with Israel, also declared that the Palestinian leadership is considering taking some diplomatic steps in the coming year, the most important of them defining the relations with Israel which, as he said, "cannot continue in the current situation." Erekat noted that no decision has been made yet, but stressed his remarks were not a threat but a serious consideration being made by the PA, in light of the need to take bold steps after the Israeli prime minister, as he claimed, began working towards the collapse of the two-state solution. "The state of the Palestinian Authority is unstable, and it’s an authority which lacks authority,” he claimed. “Its president needs approval from the Civil Administration to travel from place to place, and even the keys of the Palestinian Authority, which some claim we hold, are no longer in our possession, since [Prime Minister] Netanyahu took them." The comments are a likely indication that the PA plans to continue its “diplomatic war” against Israel, which it has done since being admitted to the International Criminal Court (ICC) this past April. As part of this war, the PA has been joining various international organizations and has also handed to the ICC alleged evidence that Israel committed war crimes against Palestinians. 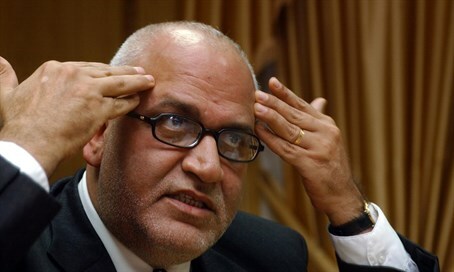 Erekat earlier this month threatened that if Israel does not make peace with the PA, ISIS will assume the moral leadership of the Arab world. Yet Erekat was ignoring his own incitement - as well as that of other PA leaders including PA chairman Mahmoud Abbas - against Israelis. Just recently, he blamed Israel - and specifically Prime Minister Binyamin Netanyahu - for the Palestinian terror wave against Israelis, and refused to condemn the attacks. Several weeks ago Erekat paid a condolence visit to the family of a terrorist who shot and wounded two Israelis before being killed by the IDF.